Molly and Andrew’s classic white wedding is oh-so-lovely with fresh crisp florals and darling details. 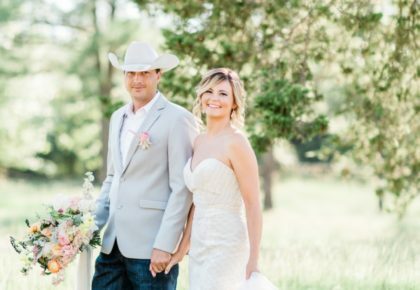 Oklahoma wedding photographer Holly Gannett Photography captured all the prettiness, check out the gallery! Molly and Andrew met at the University of Oklahoma through mutual friends. Sparks didn’t fly until six months later when they ran into each other. They soon realized they had similar interests including OU football and going to the lake. They immediately connected and the rest is history. To celebrate the couple’s four-year anniversary, Andrew invited Molly to an early dinner. Afterward, he told her they were visiting family who were at the Hotel Crescent Court. When the door opened to the room, Molly noticed rose petals on the floor leading to a table with champagne. Andrew got down on one knee and proposed! Andrew then told Molly they were meeting up with her family and a few friends to celebrate. 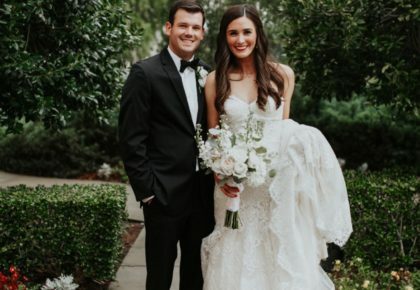 In yet another surprise, he took her to the rooftop of Terilli’s in Dallas where 75 of their closest family and friends were waiting to celebrate. It was a perfect night to celebrate the start of their one-year engagement. Molly and Andrew chose to get married in her hometown of Enid. 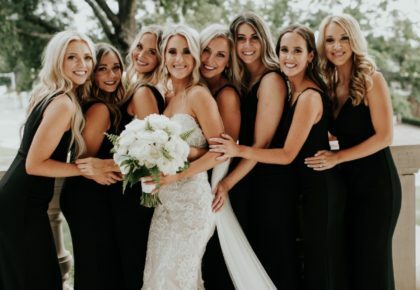 Prior to the ceremony, Molly experienced a few of her favorite moments that included her first look with her bridesmaids and afterward, her groom. 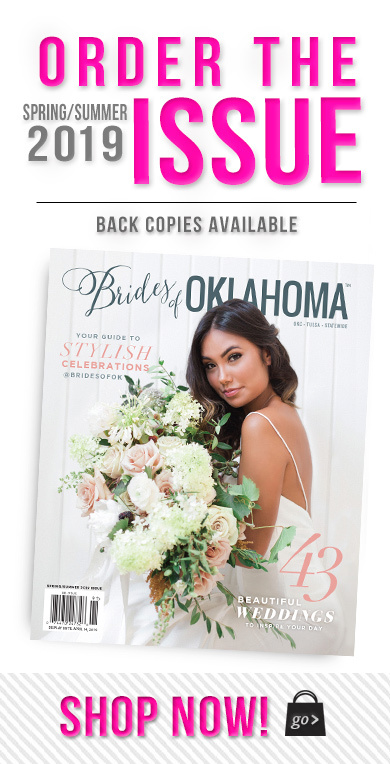 Following their first look, Molly and Andrew hopped in a golf cart for photos around Oakwood Country Club of Enid. After saying their “I dos” at First Presbyterian Church, they drove to the country club in a 1936 Cadillac. Their plan was to take sunset photos on the golf course, but they were met with a light, misty rain. Despite this, the newlyweds cherish the moments under the cloudy Oklahoma sky.